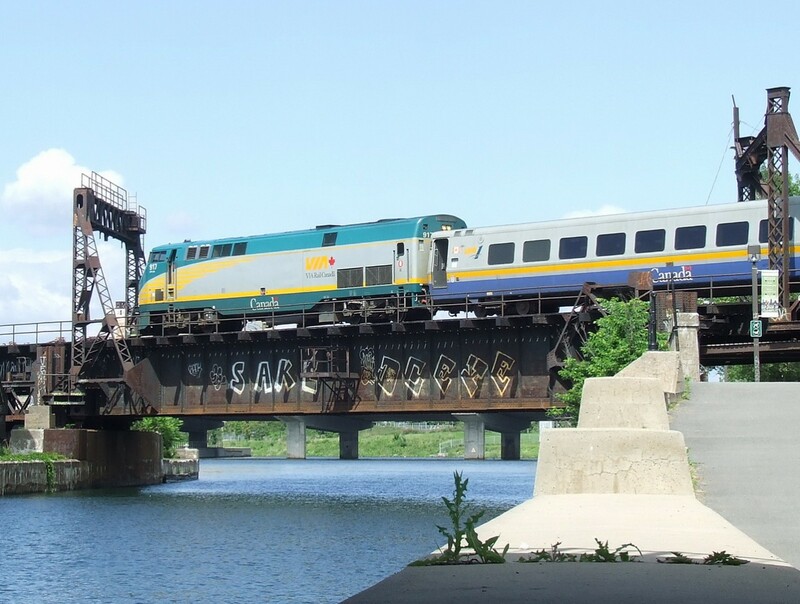 Railpictures.ca - Pierre Fournier Photo: VIA 32 from Ottawa crosses the canal on the old lift bridge that lost its structure in 1967. | Railpictures.ca – Canadian Railway Photography – photographie ferroviaire Canadienne. Copyright Notice: This image ©Pierre Fournier all rights reserved. Caption: VIA 32 from Ottawa crosses the canal on the old lift bridge that lost its structure in 1967.